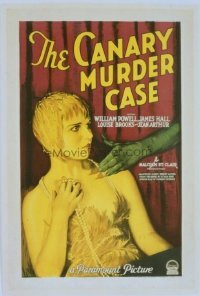 The Canary Murder Case, the 1929 Malcolm St. Clair & Frank Tuttle detective mystery crime thriller ("From the novel by S.S. Van Dine"; Louise Brooks plays the "canary" who is the showgirl who gets murdered early in the movie; the movie was shot as a silent and then had to be re-shot as a sound movie, and Brooks was in Europe and refused to return to provide the voice for her part, which was a major part of why she was pretty much blacklisted in Hollywood after that) starring William Powell (as Philo Vance), Louise Brooks, Jean Arthur, James Hall, Charles Lane, and Gustav von Seyffertitz. Note that William Powell first played Philo Vance in 1929's "The Canary Murder Case" and after the character proved very popular, he followed it the next year with "The Greene Murder Case", after which Basil Rathbone took over the role that same year in "The Bishop Murder Case". 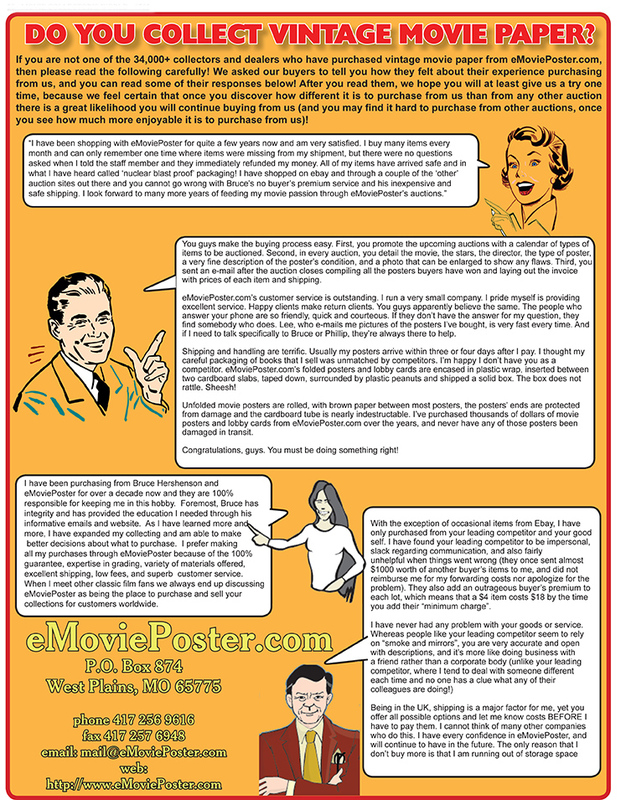 After Powell played Vance again in "The Benson Murder Case" (which was also made in a Spanish language version with an entirely different case), he then played him one more time in "The Kennel Murder Case" in 1933, but the character also appeared in ten more movies between 1934 and 1947, with other actors in the lead roles.